U'Luvka is both new and yet old at the same time. It has roots going back to the alchemists of the 17th century Polish Royal Court. Alchemy is all about transformation and this is the essence of U'Luvka. Working with Poland's finest modern alchemists, U'Luvka has been recreated the 'unfathomable spell' the result of which is yours to enjoy. 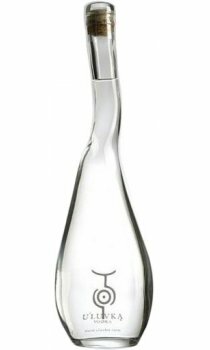 U'Luvka Vodka has won over 40 International Awards to date. Including Best Super Premium Vodka in the world over 5 times and best packaging over 6 times in the last 18 months. An excellent Vodka. Would definitely recommend it! Smooth, crisp, clean taste.